An attractive option to many of our customers is to simply restore the old headlights to their original condition. For optimal results, hire a professional with experience. Yes, there are do it yourself kits. Some customers have tried these and found they start fogging again after a month or two. Increased Visibility – It is obvious that everyone on the road wants their headlights to be as clear as possible so that the road ahead is fully lit. 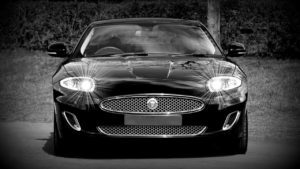 Improved Appearance of your car or truck – Clear headlights mean a better appearance and even increased value, when it is time to sell or secure a car loan. Cost Savings- purchasing brand new lights is expensive and parts can sometimes be hard to find. Restoring headlights solves the problem and saves both time and money. The benefits of headlight restoration are numerous. Dull or yellowing headlights can easily be restored with our process. Our professional auto body specialists restore your headlights with optimal clarity and protect them from the harm of UV rays. Say goodbye to foggy, cloudy, and yellowing headlights. While you have your car at Plan B Autobody, you can also take care of any door dings including minor or major dents, and even receive a completely new paint job. We are glad to quote any service you may desire for your car. Plan B services Goodlettsville, Hendersonville, Whitehouse and beyond.